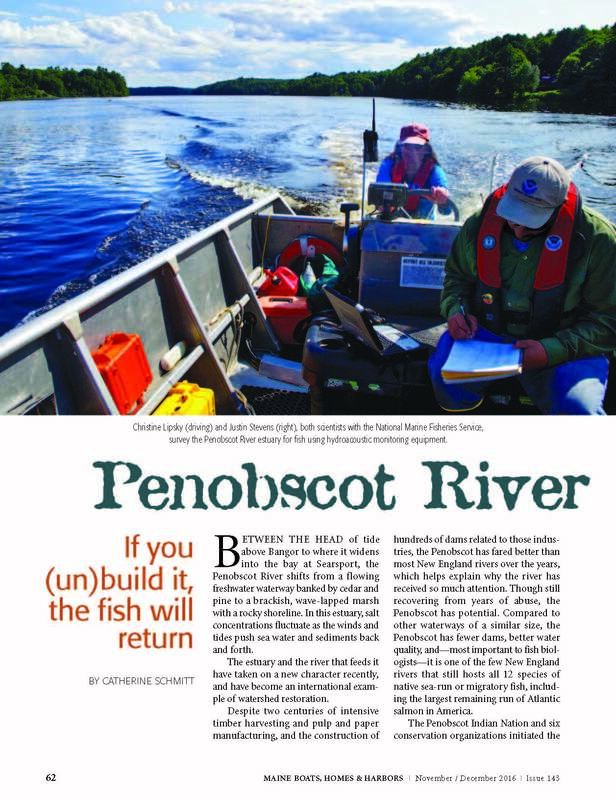 Between the head of tide above Bangor to where it widens into the bay at Searsport, the Penobscot River shifts from a flowing freshwater waterway banked by cedar and pine to a brackish, wave-lapped marsh with a rocky shoreline. In this estuary, salt concentrations fluctuate as wind and tide push water and sediments back and forth. The estuary and the river that feeds it have taken on a new character recently, and have become an international example of watershed restoration. Read the rest of the article in the Winter 2016 issue of Maine Boats, Homes & Harbors Magazine.